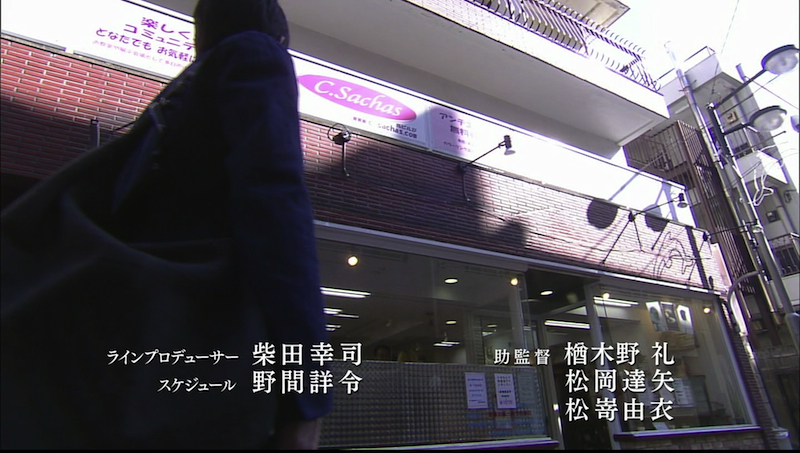 At the end of the drama, Shuichi went to Morioka City to find Haruka. He appeared in front of a salon where she was working as an apprentice. In real life, the salon is called Salon de Coup and it is located near Gakugeidaigaku Station in Meguro. Many Takki fans retweeted this insider’s report, but it’s unclear who actually wrote it. I only know that the person who wrote it got her information from one of the extras, who also happened to be one of the stylists who works at the salon. They did filming at the salon on October 16, 2012 from 10 am to 4 pm. Takki and Kii-chan were there, including 30+ people who acted as pedestrians, salon staff, and salon clients. One of the reasons why they chose this place was because the right half of the store is a barbershop and the left half is a beauty parlor. They took down all the posters on the windows so that the inside could be visible from the outside. Two of the stylists, who actually works at the salon, got to participate as extras. It apparently felt tense inside the salon. It seemed like Takizawa-san was really tired. Watari-san was also supposed to be there, but there were a change of plans. 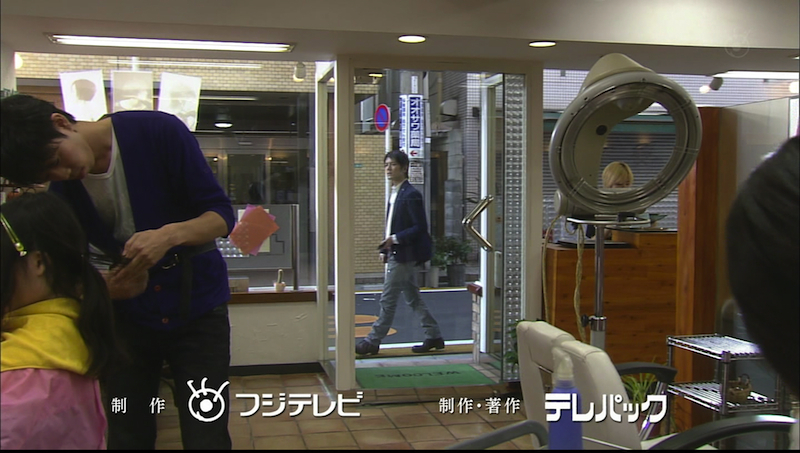 Shuichi walked in from the left and through the glass entrance, he looked at Haruka, who was inside the salon. Then, he walked off. The part where Shuichi walked in front the left… they recorded that part many times. Then Shuichi had to walk past the salon without going inside. They recorded this scene over and over again. It seems like they put up Kii-chan’s signature in the back of the salon. They would’ve gotten a signature from Takki, but after they were done filming, Takki had to rush off to the next location, so in the end, they weren’t able to get his signature.